Warner Bros. Pictures has unveiled the individual posters of the animal characters and the main trailer of its new animated comedy adventure “Storks”. Check out the one-sheets and the trailer just below. 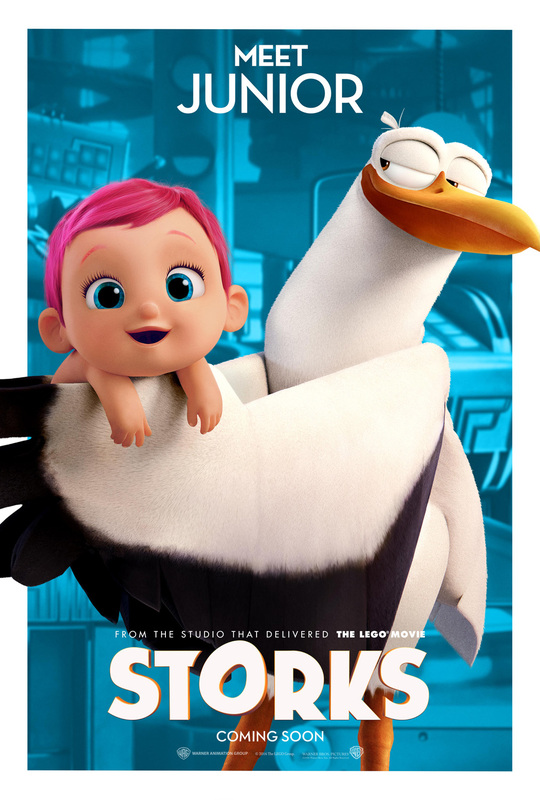 In the film, storks deliver babies or at least they used to. Now they deliver packages for global internet retail giant Cornerstore.com. Junior (Andy Samberg), the company’s top delivery stork, is about to be promoted when the Baby Factory is accidentally activated on his watch, producing an adorable – and wholly unauthorized – baby girl. 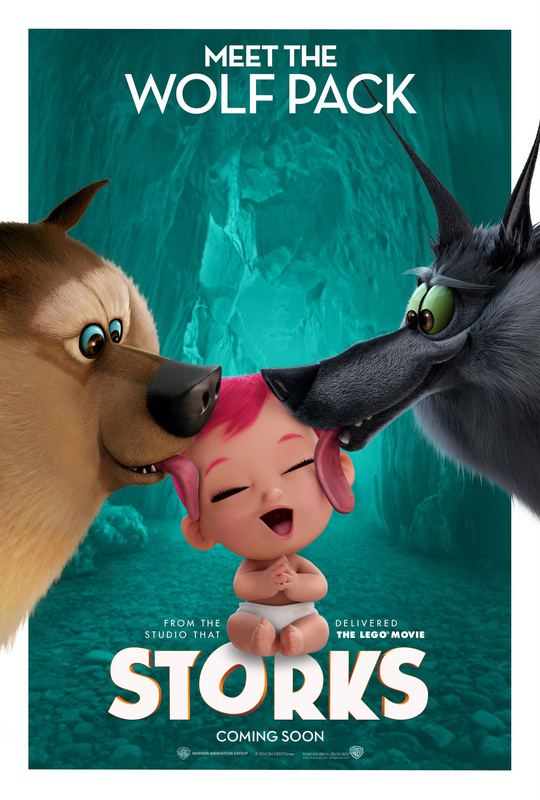 Desperate to deliver this bundle of trouble before the boss gets wise, Junior and his friend Tulip, the only human on Stork Mountain, race to make their first-ever baby drop, in a wild and revealing journey that could make more than one family whole and restore the storks’ true mission in the world. 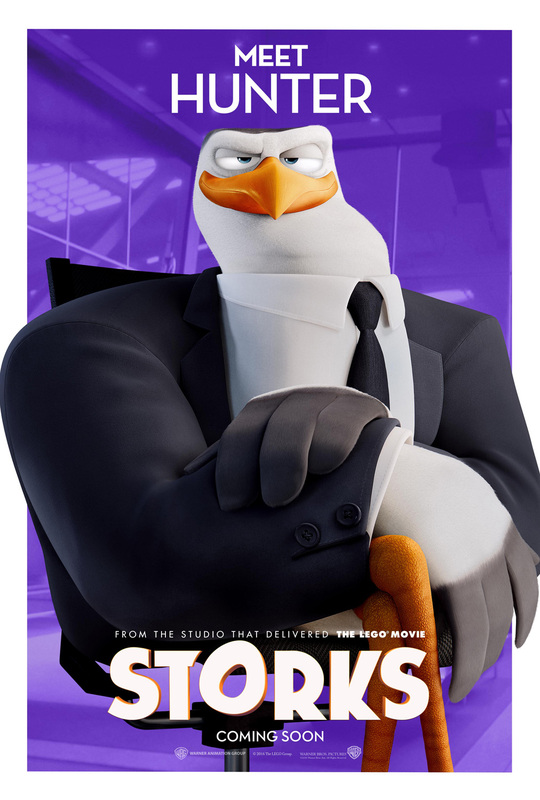 Junior (voiced by Andy Samberg), a hard-working stork (pictured with the Baby) who's in line to become the next boss of Cornerstore. All he has to do is get rid of Tulip — but he may not have the heart to fire her. Hunter (voiced by Kelsey Grammer) is the boss of Stork Mountain and the closest thing the movie has to a bad guy. "He's all about business," says co-director Nicholas Stoller, and Junior looks up to him. Jasper (voiced by Danny Trejo) is the stork who accidentally destroyed Tulip's delivery map years ago and thinks of her as his baby (even though she's now 18). Pigeon Toady (voiced by Stephen Glickman) is a little bit of a villain, a little bit of a tragic character, but mostly comedic fodder. 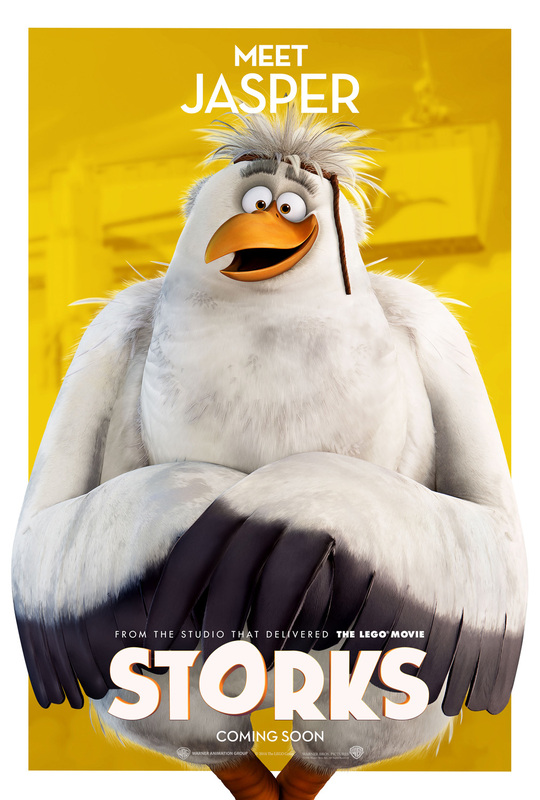 “Storks” stars Andy Samberg, Kelsey Grammer, Katie Crown, Keegan-Michael Key, Jordan Peele, Jennifer Aniston, Ty Burrell, and Danny Trejo. 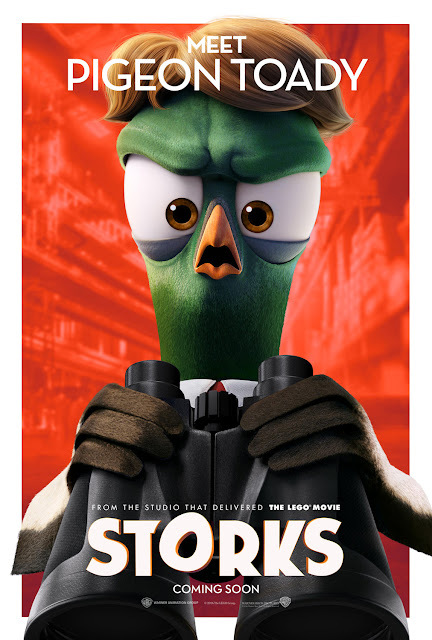 “Storks” is distributed by Warner Bros. Pictures, a Warner Bros. Entertainment Company and opens on local theaters starting September 22, 2016.